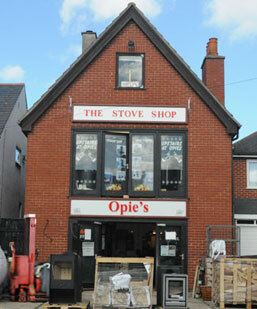 Opies The Stove Shop Limited was established in 1978. We have over 30 years experience in providing excellent customer service coupled with expert advice to ensure you find the correct wood burning stove to suit your needs, which is installed to a high standard. We deal with many of the worlds most prestigious wood burning stoves including JØtul, MorsØ, Scan, ILD, Stovax, Hunter, Aarrow, Franco Belge, Euroheat and Pevex to name a few. 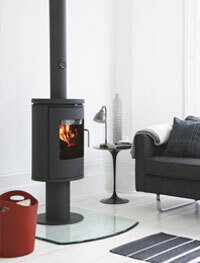 We pride ourselves on being a Main Dealer for the global stove company Jotul. We have a showroom spread over 3 floors with over 100 stoves on display with 5 live display models. We have traditional cast iron and steel stoves along with the more contemporary up-right free standing stoves, and something for those who want something in between. 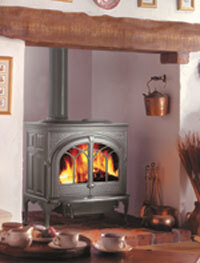 All our wood stoves come with the manufacturers full warranty and are all priced to be as competitive as we can be. Our policy for interested customers looking for a FREE estimate is to visit our showroom armed with the following information; Size of room, size of fireplace opening, age of property. From there we can identify your needs and the outline of what work will need to be carried out, we always try to shortlist a handful of stoves and from there set up a free no obligation survey with these stoves in mind. Remember you don't always need an existing chimney to have a woodburning stove fitted. Please feel free to call us today for more information on products and services we offer, alternatively visit our showroom to potentially take your first steps to enjoying a wood burning stove. © Opies..The Stove Shop Limited 2019 - All Rights Reserved.